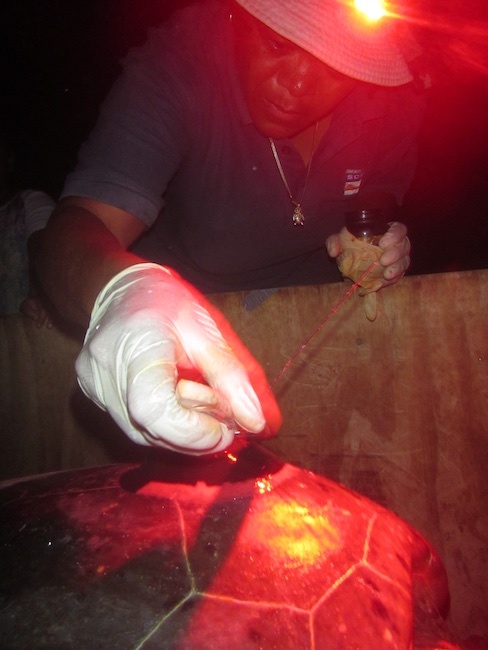 Based on the monitoring data on nesting turtles that Jessica Berkel and her team at STENAPA are collecting we were able to predict the turtle’s return to the beaches. 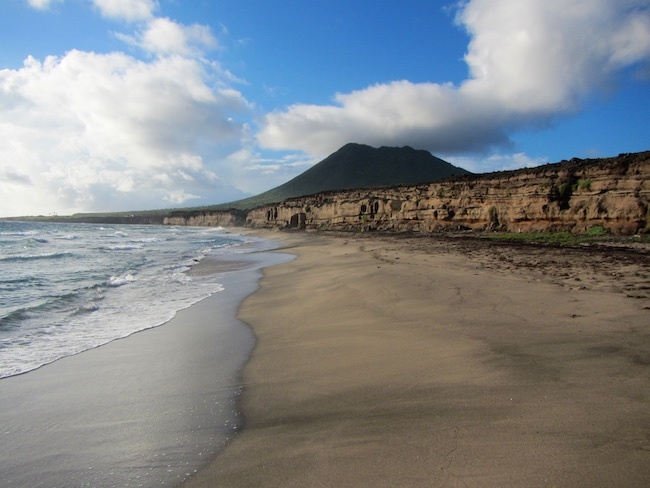 For this we used the inter-nesting durations of the first green turtles tracks that were reported for Zeelandia beach, St. Eustatius. Equipped with a turtle box, satellite transmitters, our red headlights and the turtle research kit we headed to the beach and already after an hour of beach patrols we found a female green turtle. The cool thing is that we saw her mating in St. Eustatius harbor 1 ½ day earlier (and did not want to disturb catching her there). 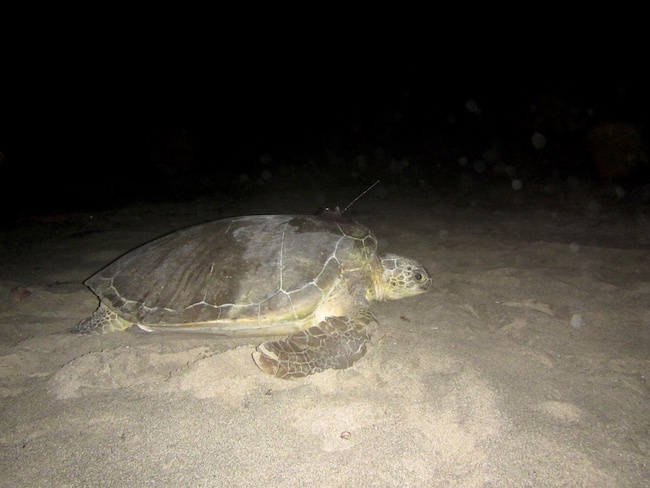 We deployed this turtles with a satellite transmitter to study where she will go during the inter-nesting period (turtles lay multiple nests with ± 2 wks intervals) and after nesting, when she is migrating back to her foraging grounds. These foraging grounds can be located up to 5000 km away, for which the turtle might have to risky waters of multiple countries (of which some allow turtle harvest). 2 and 4 nights later we placed a 2nd and 3rd transmitter on other nesting females, great succes! In future blog-posts I will share their migration tracks. Back to the sea. 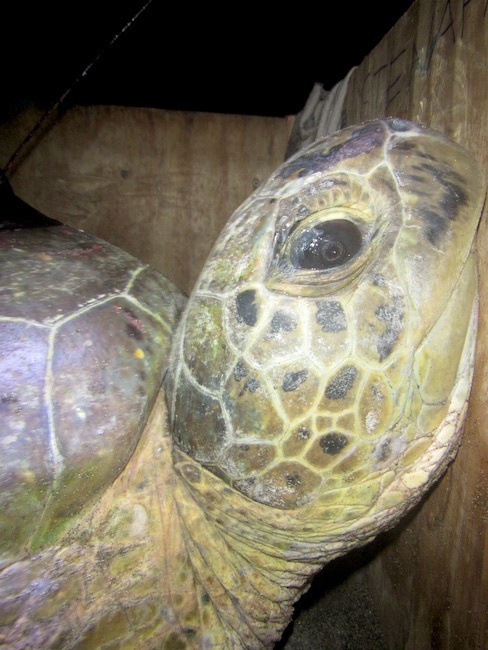 Adult female green turtle on Zeelandia Beach St. Eustatius ready to rest after 1.5 hr of satellite tag processing. 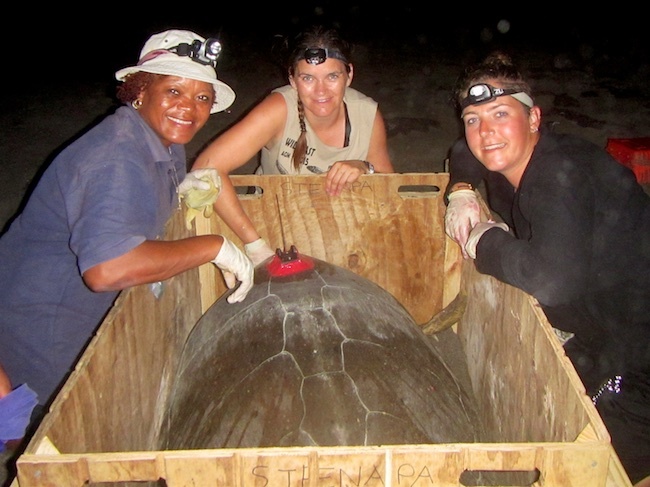 At night Jessica (left, STENAPA) is placing her first satellite transmitter on a turtle together with Fionne (right, student at Wageningen University). Training succesful! Cool to see those transmitters. High tech on an ancient animal!